So we all know that part of the cow meat that tastes so juicy and succulent when roasted right? Of course, we do! That is the prime rib, it is the undisputed master of flavour amongst the different parts of a cow. It holds in it so much taste and there are so many ways we can have them served but they don’t always come in handy when we need them. So if you have ever had issues about what to serve along with your prime ribs or with ways you can serve them, you are just about to find out how. What Part Of A Cow Exactly Is The Prime Rib? The prime rib is also known as a standing rib roast, it is part of the primal rib in a cow. The primal ribs are usually nine in number and the prime rib can be located around the centre of the ribs. Not all beef can be certified as being “prime” as this is the highest quality in beef grading, this rating can only be given by the USDA but these days lots of meat claim to be prime. This part of the meat is highly desired as it holds a lot of tenderness when cooked and it comes at a cost as well. In most cases, a prime rib comes along with some surface fats which can be used for cooking or can be removed altogether, depending on what you want to cook. When used, it adds a lot flavour to the meat. Go for bone-in prime ribs as against the boneless ones, they add more flavour and taste generally. In many supermarkets, the part next to the prime which is the “choice” parts are sold as prime ribs, ask the seller to give you the exact part you want. If you want your prime rib well roasted and prepped for cooking, tell them to French trim it, this usually comes at no extra cost, and the sellers usually know exactly what you want when you ask. Dry-aged prime ribs are also another good choice as they have lots of flavour due to their storage over time, you can go for them if they are available to you. There are lots of recipes out there which claim to give you a well grilled prime rib but there are chances that you might not get exactly what you want. This recipe by The heritage cook shows you the best way to grill your prime rib and get the best from it. I also like the dry-brining tips included in the recipe, it is a simple way to get your flavours to sink into the prime rib, and another plus is that you can add other herbs except for salt while doing the dry-brining process, give it a quick peek. The method used in the recipe by That skinny chick can bake involves slow cooking, one major advantage of slow cooking your prime rib is that it allows the inner centre to get very succulent and even out with the outer parts. If you are bothered about having an uncooked centre of your prime ribs there’s no need to worry, this method works fine. If you are able to follow the procedures described then you should end up with a beautiful, brown scenting prime rib with all round softness. Now, if you absolutely do not mind having your prime ribs with a very cheesy dish such as scalloped potatoes then you should go for it. The creamy taste of the potatoes pairs well with the softness of the prime ribs and the serving is easy, this recipe by Peanut butter & peppers is nice and straight forward although it involves the use of a crock pot (also known as a slow cooker, used to cook or simmer at low heat). If you have time on your hands you should make some crock pot scalloped potatoes. This is a wonderful choice for a dish like prime ribs, not only does it compliment the time used in preparing the prime ribs, it is a very healthy combination. 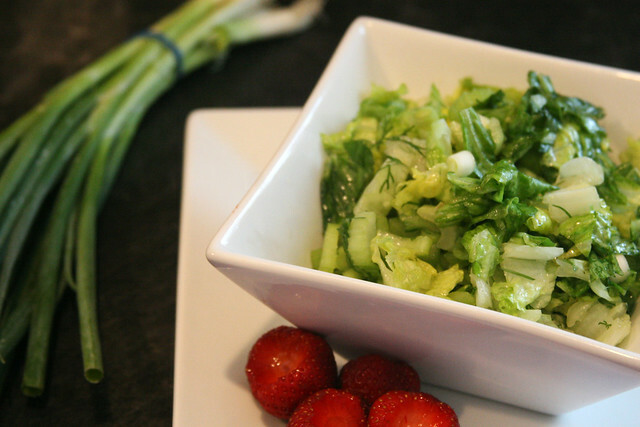 I chose this green salad from Natural fertility & wellness because of its simplicity and the use of dill in it. You can spice up your salad with the inclusion of peas and beans to give it more colour and serve with a slice of well-cooked prime ribs at the side. Yes you saw that! Yorkshire pudding hardly comes to mind right? I know, but it makes a very good pair with prime ribs. It doesn’t look so heavy and it makes the whole serving simple and delightful. This Yorkshire pudding by Cook the story got my interest because of the inclusion of onions and herbs in it. The onions make it a lot tastier and the herbs can be well felt, if you have a problem with eating herbs, you are always free to substitute ingredients and make the pudding plainer. Prime ribs are the part of the meat that usually comes at a cost, so you wouldn’t want to run the risk of messing up the whole cooking, follow the basic instructions and cooking procedures discussed and you should have your prime ribs cooked and served with no hassles. You should also know that prime ribs come high in calories so it is perfect to have it when you want to give yourself a treat and definitely not so much at a time unless you are in on increasing your calorie intake at a go. Finally, your prime ribs are thick and chunky, so use a generous amount of herbs and seasoning to guarantee that the whole part of the meat comes out tasty and not just the outer parts. For a cookbook with lots of other fun recipes on Prime ribs follow this link. What Should Be Served With Your Hummus? Here They are!